Welcome to the Dutch site of the Alpenländische Dachsbracke. 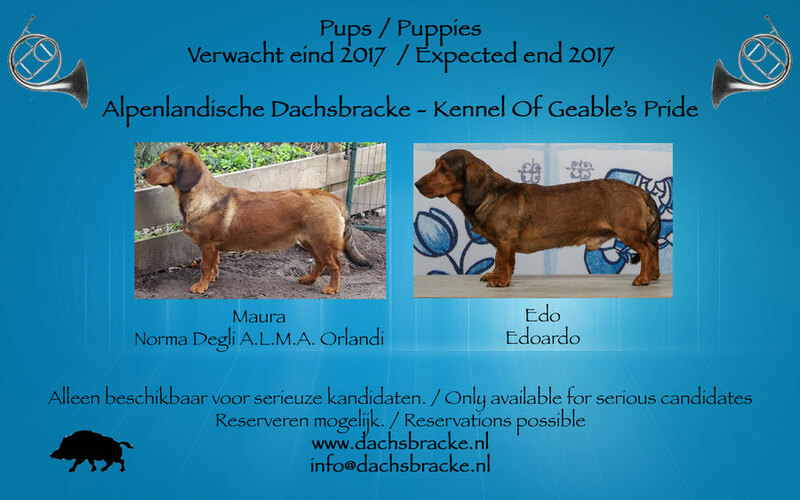 Since September 2011 I have been the proud owner of the first Alpine Dachsbracke in the Netherlands, after he had been entered in the Dutch registry (NHSB) of the Dutch Kennelclub. Edoardo and Maura are two of the few Alpine Dachsbracken in the Netherlands. This breed is rare and originates from Austria. 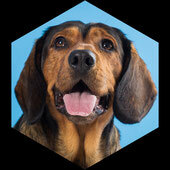 It is part of FCI group 6 (Scent hounds and related breeds). It is therefor a real hunting dog. In Eastern Europe, France, Germany, Austria and Italy it is more common to see this breed. The breed has a red deer colour but can also be found in the "black & tan" colour. This site is to inform you about the breed but also to introduce you to my own two dogs, Edo and Maura. If you have any questions, please do not hesitate to contact us.